From art, culture, museums and mosques to deserts, light festivals and fabulous food there’s an array of things to do in Sharjah. The family-friendly destination has plenty to entertain all age ranges. 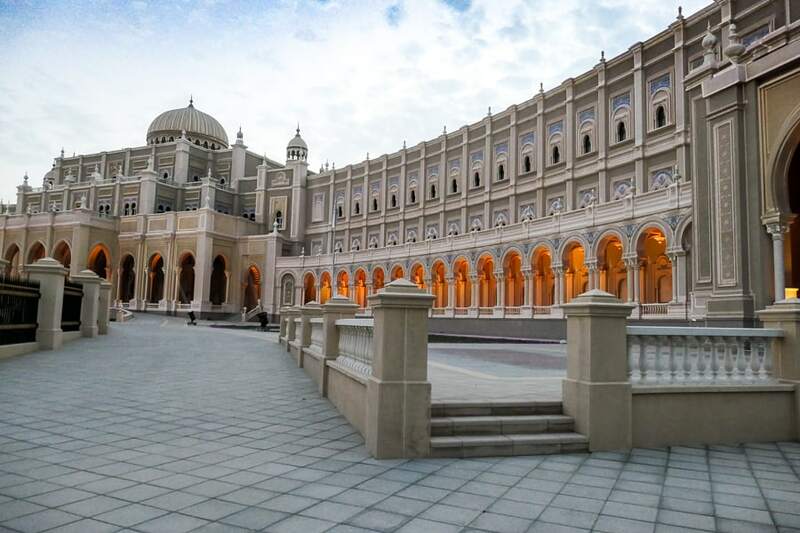 Check out my tips on what to see and do and the best places to visit in Sharjah. Ad – Gifted Trip. May include compensated links – read more info in my disclaimer and disclosure. If you haven’t heard of Sharjah (I hadn’t before I visited) it’s the third largest emirate and the UAE’s cultural heart. It’s also UNESCO’s world book capital of the year for 2019. 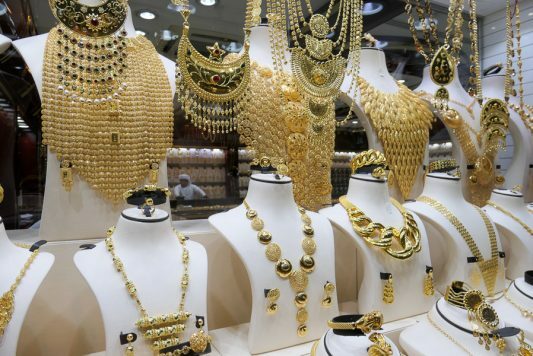 If bling’s your thing head to neighbouring Dubai but if you’re looking for cultural encounters and want to delve deeper into middle eastern art, heritage and history you’ll find it in Sharjah. 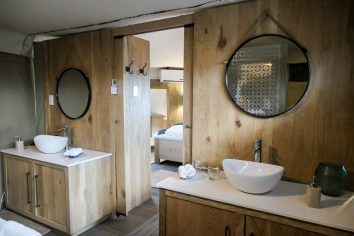 Mountain ranges, deserts, beaches and nature reserves will appeal to outdoorsy types and there’s plenty to keep the kids happy too. Sharjah Light Festival illuminates 17 of the city’s iconic sites in dazzling audio-visual displays. 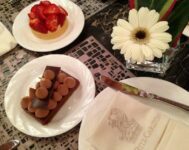 It’s worth planning a February visit to coincide. Buildings in the city are lit up with illuminations set to music. We watched the 20 minute show at Sharjah City Municipality, which was utterly spell-binding, before heading to the Al Qasba and Al Noor Mosque illuminations. The Aquatic Parade and fireworks reflecting in the waters of the Khalid Lagoon were spectacular. The 2019 theme was ‘Family and Culture’. Illuminations were inspired by local culture, stories and traditions while others had more contemporary elements. Hundreds of palm trees in Palm Oasis were lit up for ‘Firefly Forest’ and was a popular spot for family picnics. 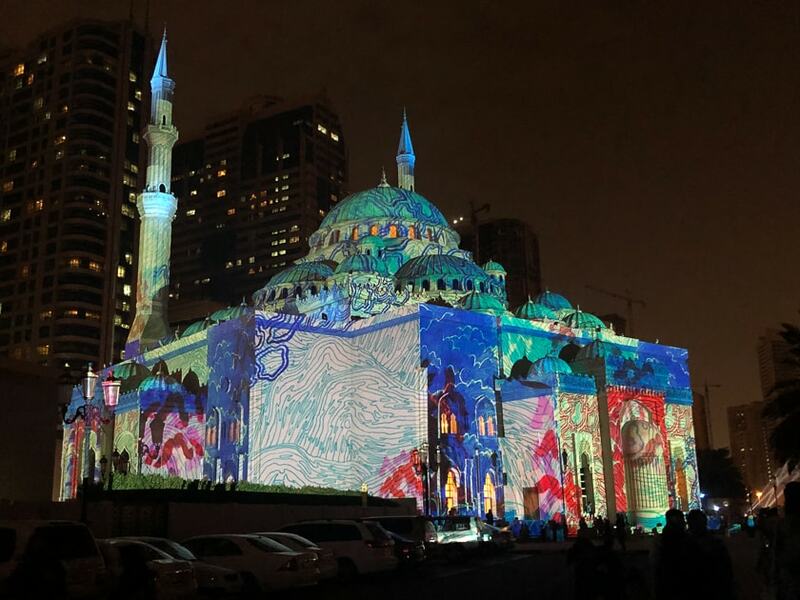 Sharjah Light Festival is free and takes place every day over ten days every February. 2020 festival dates are to be confirmed. 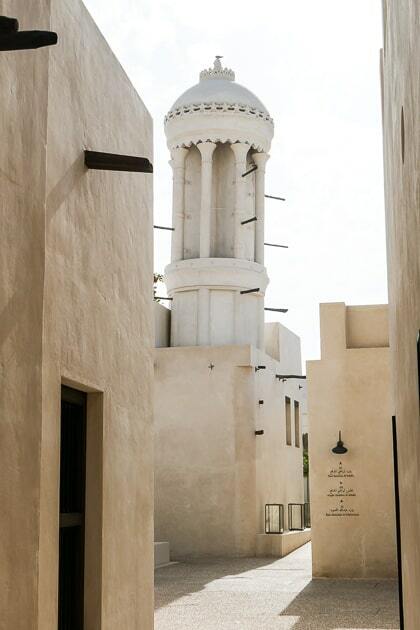 Take a guided tour with a local to the ‘Heart of Sharjah’, the area where the city first developed. You’ll find it near the creek in the, um, heart of Sharjah. 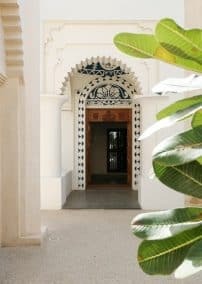 The project is recreating what the older part of the city was like over 50 years ago following traditional Islamic styles. Our guide, Al Shuwaihi, who was born in the heart of Sharjah led us through the narrow alleys lined with heritage buildings. We passed lofty wind-towers and visited the 150 year old Souq Al Arsah, the oldest in the Emirates. There’s a vibrant café culture in the area where you can go for coffee and chat to retired local people to learn more about Sharjah. 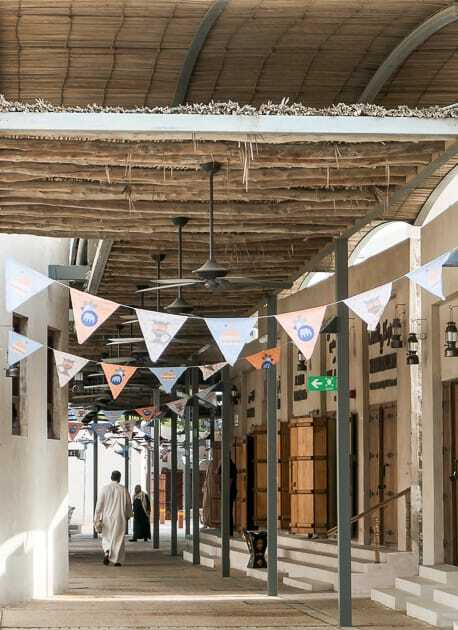 Step through the teak gate of Sharjah Fort into a nineteenth-century royal residence turned heritage museum. 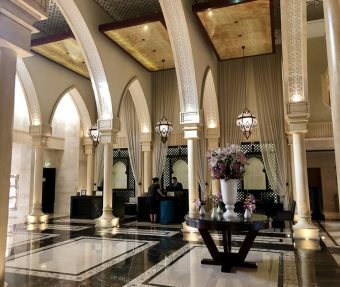 We stayed at the beautiful Al Bait hotel in the heart of Sharjah. 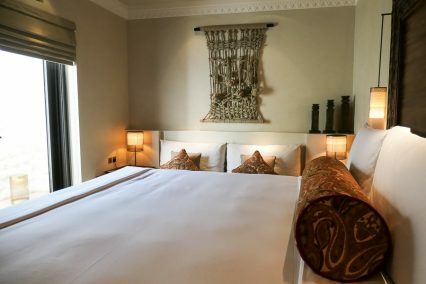 The newly opened heritage hotel is a series of restored houses which belonged to the wealthy Al Midfa family. Al Bait means home in Arabic and I absolutely fell in love with it. The beautiful white domed Al Noor Mosque is the most famous of 600 in Sharjah and the first to welcome non-Muslim visitors. The mosque is open to the public at 10 a.m. on Mondays and Thursdays. Appropriate clothing is provided and photography is allowed. Next to Al Noor mosque is the gateway to Al Noor island. 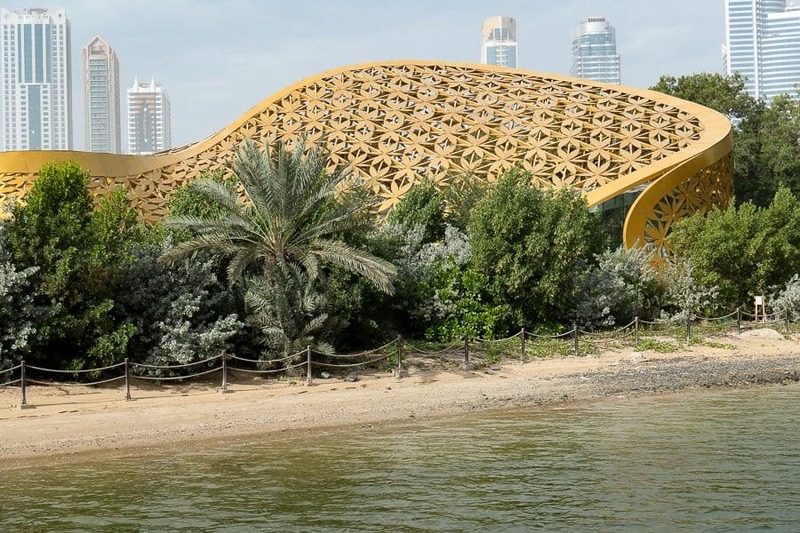 Cross the bridge over Khalid Lagoon and you’ll see the curving lines of the butterfly house glinting gold in the sunlight. A Music floats on the air as you wander beneath the trees, plants and sculptures of the island. Relax in the peaceful literature pavilion, tune into nature and admire over 150 butterflies in the island’s aviary. 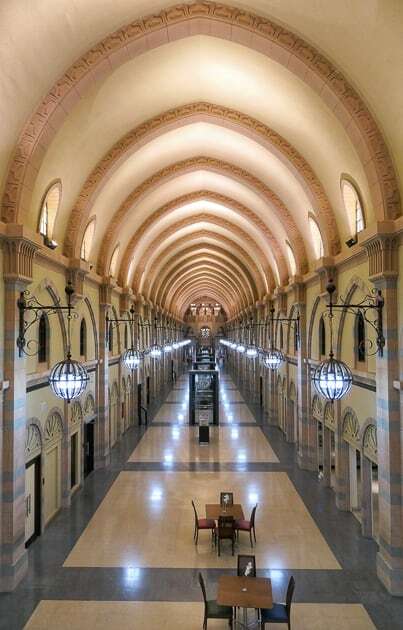 As well as Souq Al Arsah in the heart of Sharjah and the old Souk Al Shinasiya there’s plenty of shopping in Sharjah. The Central Souk is a huge building in the centre of the city, sometimes called the Blue Souk due to its blue tiled walls. 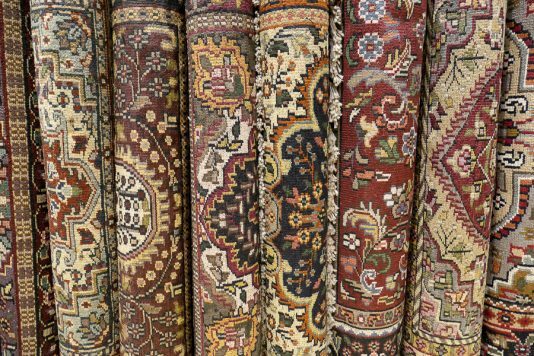 Individual areas inside sell gold, silver, gems, gorgeous carpets, perfumes and a whole range of goods. For everything else head to the Mega Mall. 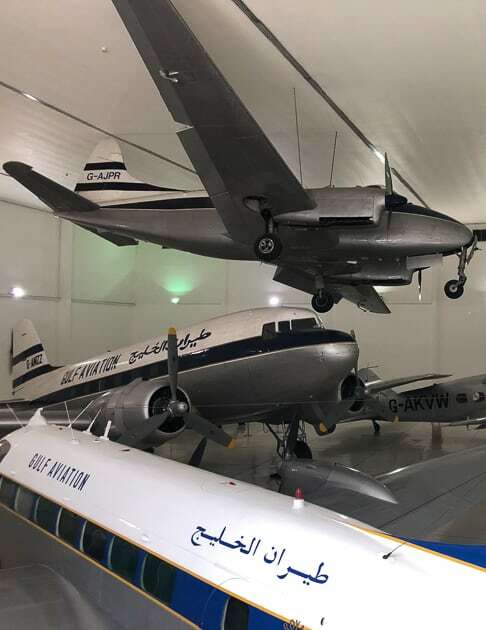 There’s a museum for everyone in Sharjah from classic cars, the old Al Mahatta airport, science, art, archaeology and more. 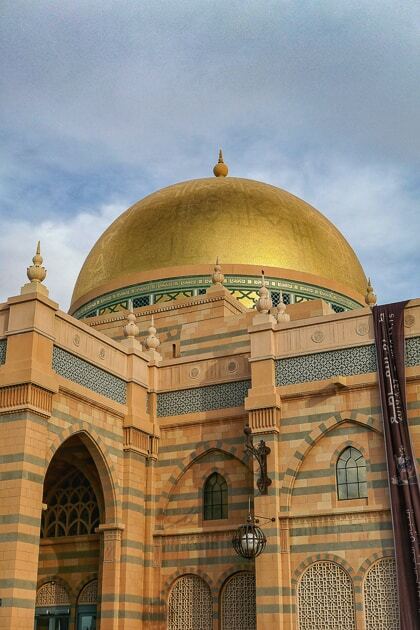 If you want to learn more about Islam head to the Museum of Islamic Civilization located in an old souk. As well as being beautiful, check out the dome from the outside and the inside too, there are thousands of exhibits. Some explain the origins of Islam while ancient Islamic artefacts, and some stunning pieces are on display. I could have easily spent a few hours here. 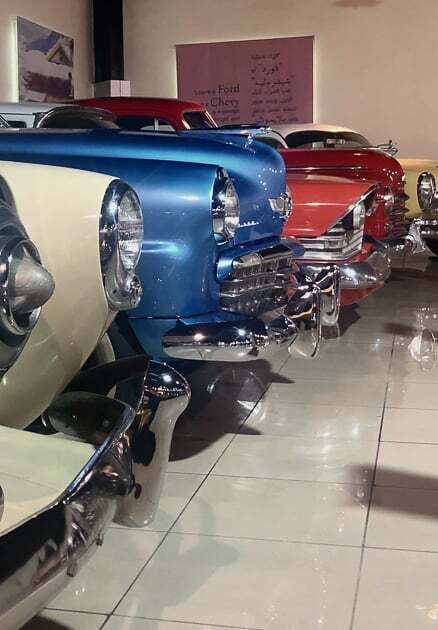 For petrol heads there’s the Classic Car museum and Al Mahatta which was the first airport in the area built in 1932. The airport was a staging post for flights en route from Britain to India and had an RAF presence. Children will especially love the Sharjah Aquarium which is conveniently placed right next to the Maritime Museum. 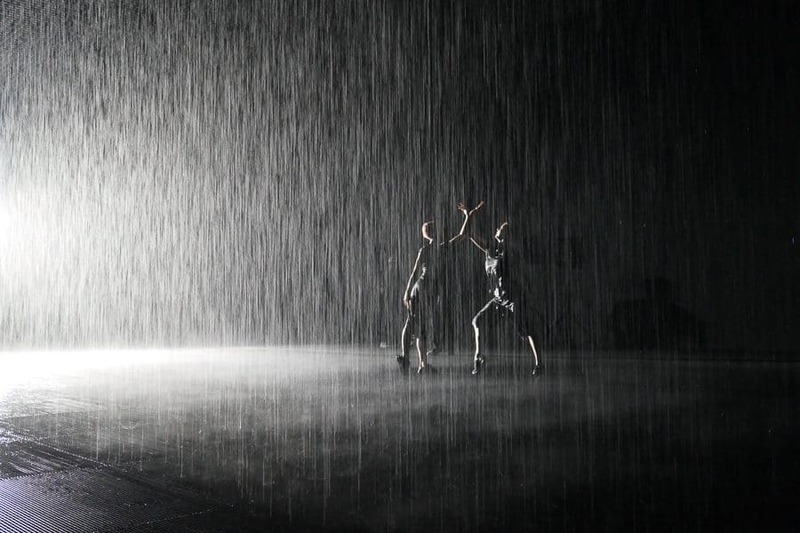 Sharjah Rain Room is the first permanent installation of Random International’s immersive project after stints in London’s Barbican, Los Angeles and New York. Visitors walk through a downpour of 2,500 litres of self-cleaning water from one side to the other without getting drenched. The responsive environment detects movement and shuts off the rain around you in a totally unique experience. While we were there the Wayne McGregor dance company were performing which was total mesmerising. Tickets cost 25 AED and are best booked online in advance to ensure availability. Al Qasba is a family-friendly area along the Al Qasba canal leading off from Khalid Lagoon. The pedestrian area has a holiday vibe with a range of restaurants and cafes. Take a boat ride along the canal to the Khalid Lagoon or head to the amusement park for a ride on the Eye of the Emirates for a 60 metre high bird’s eye view of Sharjah. Mleiha in central Sharjah is the place to go for history lovers. We visited Mleiha Archeological Centre and learned how humans crossed continents from Africa to the Arabian Peninsula and from there across the rest of the world. There’s evidence of an ancient fort and dwellings on the site and a short trek in the mountains will lead you to ancient burial caves. There’s a café on site which serves very good food and refreshments and an excellent exhibition. If adrenalin’s your thing pay a visit to the dunes near to Mleiha for a spot of dune bashing. If you don’t scream your driver isn’t trying hard enough. 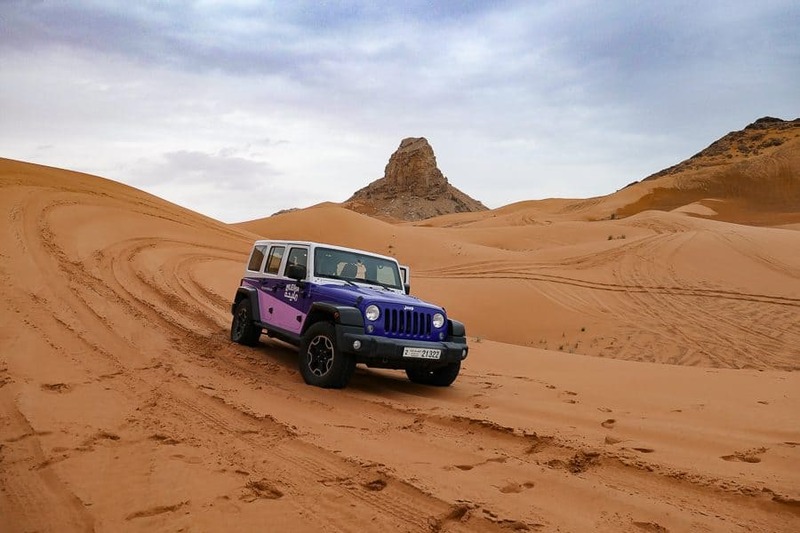 We all screamed… Our driver revved up impossible gradients before cresting the dunes and descending at break-neck speed spraying out a wave of rust red sand behind us. 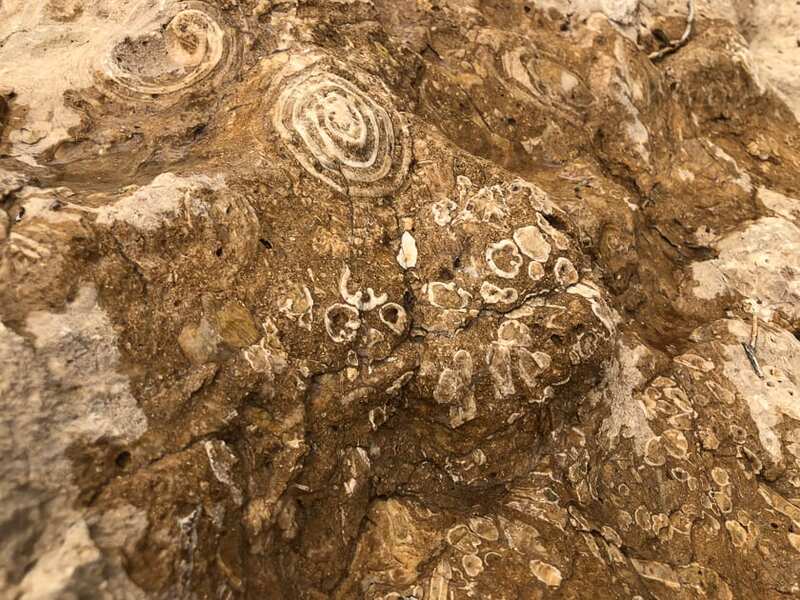 Nearby is ‘fossil rock’ which is made up of hundreds of fossils. Not obvious at first sight the fossils appear when water is poured onto the rock. You’ll likely spot a caravan or two of camels in the area too. Sharjah is great for getting closer to nature. 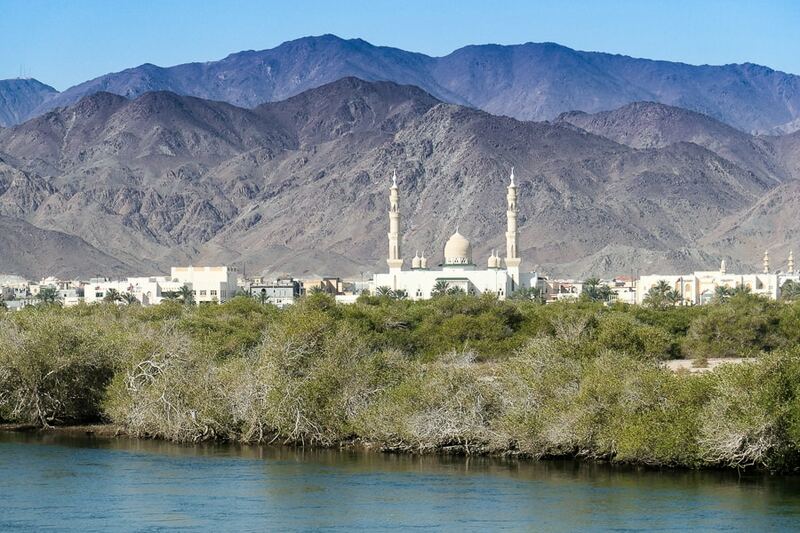 Al Qurm is the oldest mangrove forest in Arabia on the east coast overlooking the Gulf of Oman. The protected area can be explored by kayak or paddle-board and is home to the rare White Collared Kingfisher. They were coy on our visit but sea turtles and wading birds made an appearance. 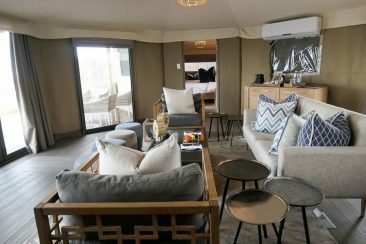 We stayed near to the reserve at Kingfisher Lodge. 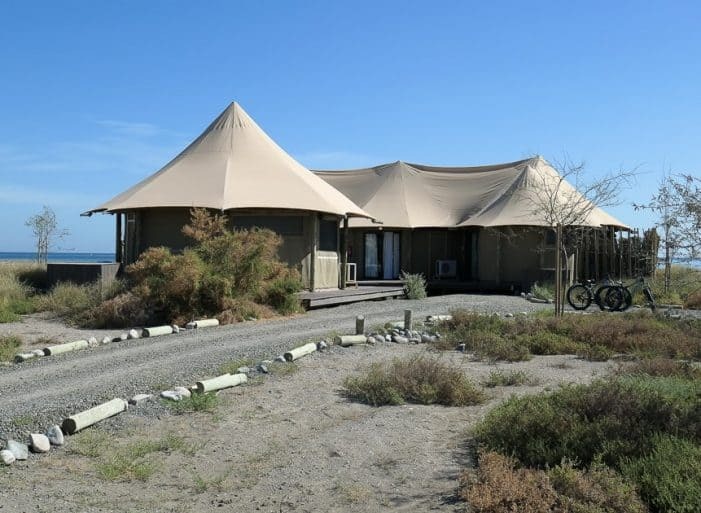 The tented luxury lodge overlooks the ocean and is just a few minute’s walk from the reserve. 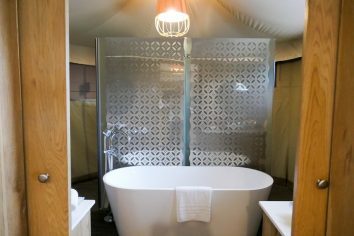 The tents have lounges and bedrooms with ensuite bathrooms, a plunge pool with the added benefit of being steps from the ocean. Middle Eastern food is amazing and I’d be happy to visit for that alone. 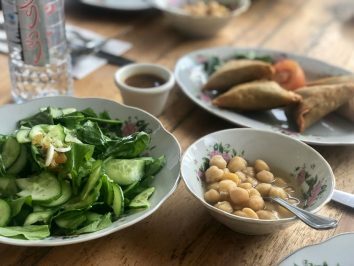 We ate a wide range of Arabic dishes during our visit to Sharjah, although there’s a full range of international cuisine on offer in the city. 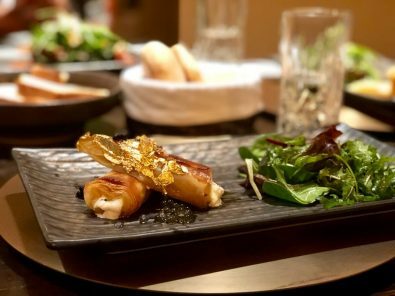 Our first meal at Al Bait Hotel Arabic restaurant absolutely blew me away and was one of the best meals I’ve had in a long while. 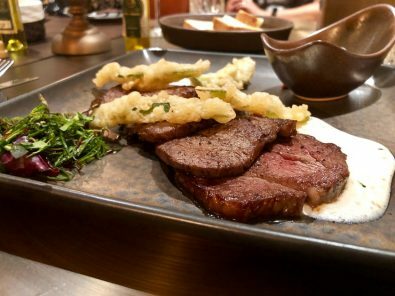 The service was impeccable, nothing was too much trouble and the food was exquisite – a combination of heritage food with elements of modern middle-Eastern cuisine. 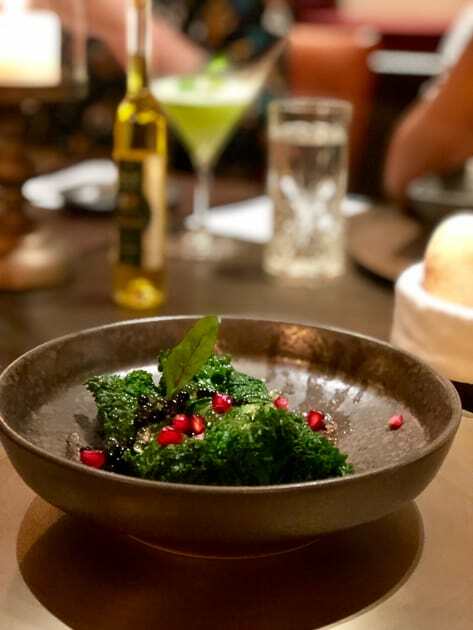 You’ll find Al Bait Arabic Restaurant in the Al Bait Hotel at Majlis Al Midfa heritage building in the heart of Sharjah area. It’s the building with the round wind tower. 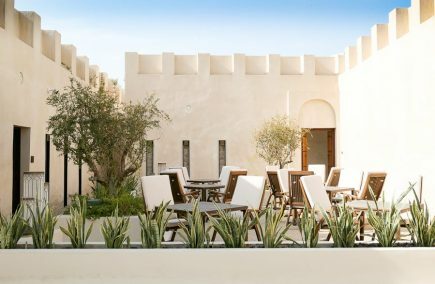 Al-Fanar is set overlooking the water at Al Majaz waterfront and was the venue for an outdoor lunch of mezzes and favourite Emirati dishes. We started with samosas, dips, flatbread and salad. 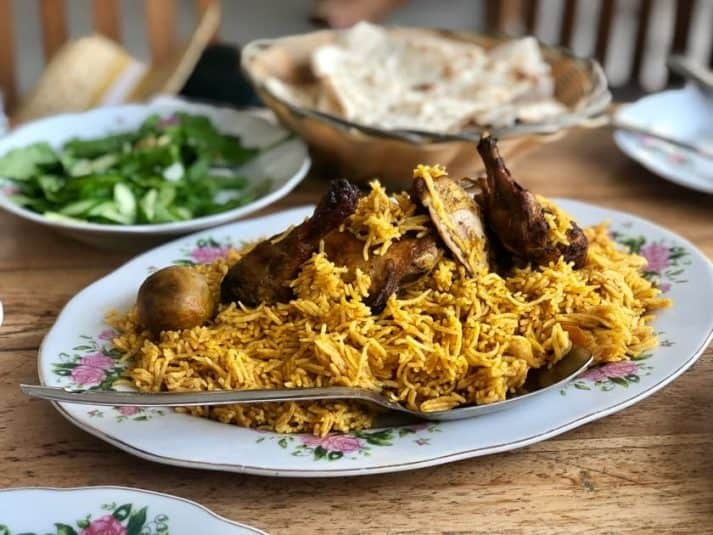 We followed this with two main courses of Margourat Deyay which is a traditional dish of Arabic bread simmered in chicken stew with potato and vegetables with Machboos Deyay; tasty chicken pieces cooked with yellow rice and simmered in chicken stock with Arabic spices and dry lemon. We rounded off with desserts of Khabisah and Leqaimat which are small crisp fried dough balls coated with date syrup. Delicious. A lovely touch as we left was a traditional hand-washing with rose water which smelled just like Turkish delight. 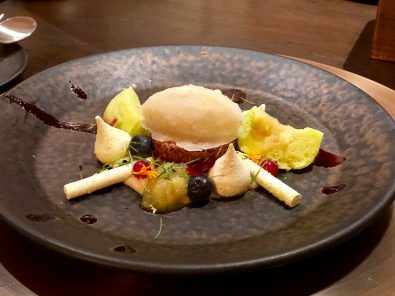 Al-Fanar is opening a restaurant in London’s Kensington soon – I’ll definitely be dropping by. 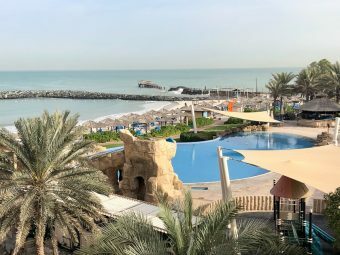 If you’re looking for a beach hotel in Sharjah then think about the Sheraton Sharjah Beach Resort and SpaSheraton Sharjah Beach Resort and Spa. 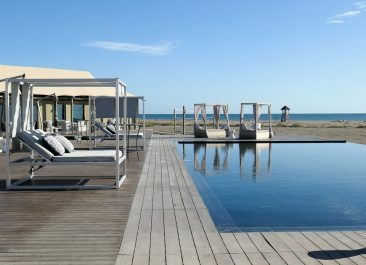 With a private beach and two pools it’s a great place to soak up the sun as well as being near to the city for sightseeing. 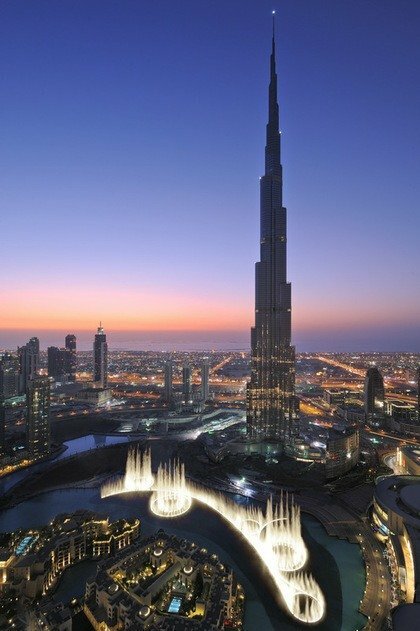 The United Arab Emirates is made up of seven emirates and Sharjah, pronounced Shar-ja, is the third largest. 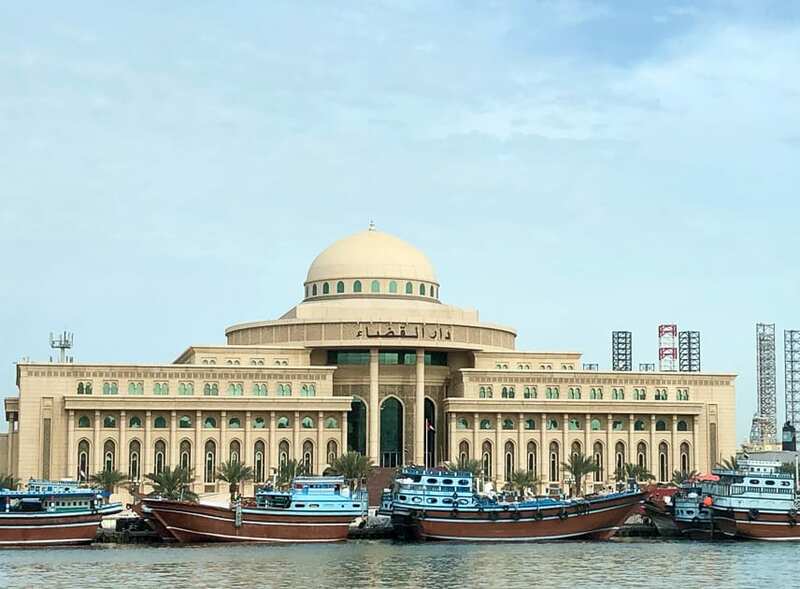 Sharjah borders Dubai to the south and Ajman to the north and has two coastlines which means you can choose from a beach on the Persian Gulf or the Gulf of Oman. Sharjah is around half an hour’s drive from Dubai International airport depending on traffic. Drive times can take much longer during rush hour as many people commute from Sharjah to Dubai for work so you’ll need to take this into account especially if you’re heading to the airport. The taxis don’t take credit cards so you’ll need to pay by cash, use Uber or pre-book your transfer. We flew into Dubai International Airport with Emirates. The best time to visit is from October to April while the weather is nicely warm but not stifling hot. I’ve visited the UAE three times, all in February, and the weather’s been perfect every time. Not too hot and not cool either. 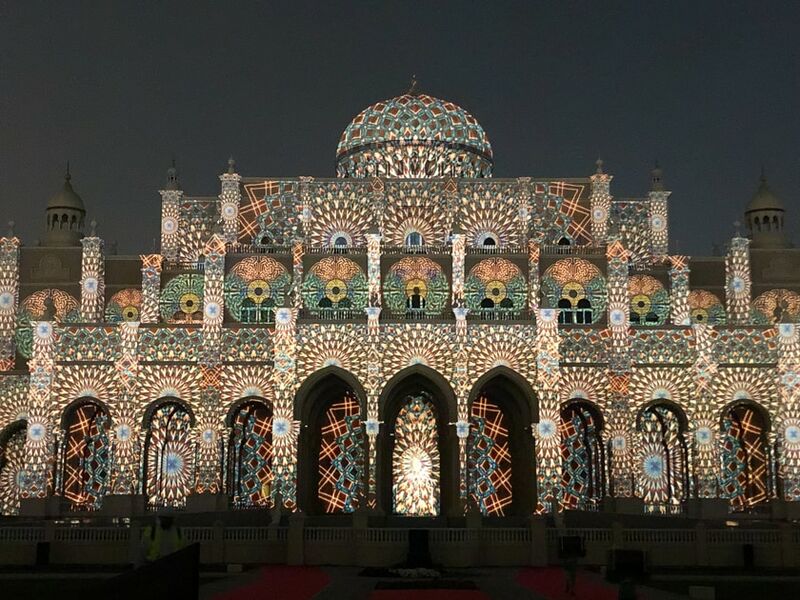 Also, in February, there’s the added spectacle of Sharjah’s Light Festival. Dress code in Sharjah is more traditional than in other UAE countries. For women shoulders, cleavage and the tops of the arms should be covered as should the knees. The hair and face do not need to be covered although you may want to wear a hat as sun-protection. In the desert shorts and vest tops are allowed. 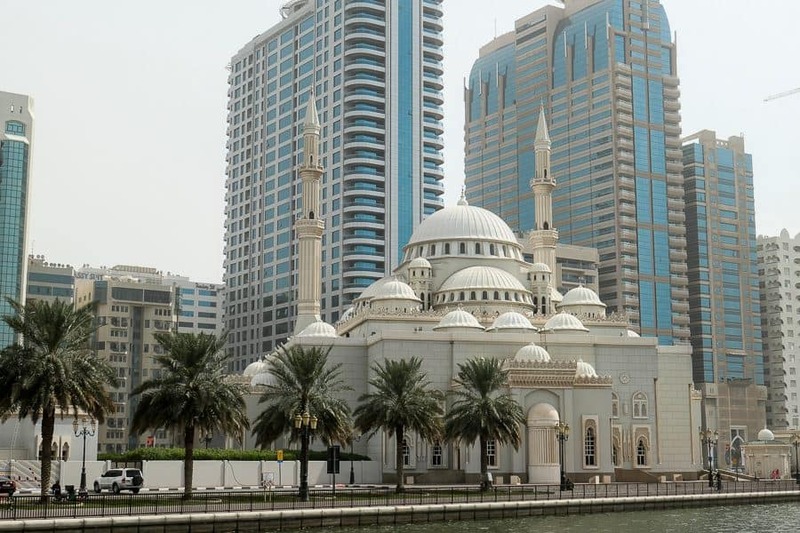 Sharjah is also more affordable than some of the other emirates and has a family-oriented feel. It’s much more conservative than neighbouring Dubai. Alcohol is illegal throughout the emirate including all hotels and restaurants. I had a fabulous time in Sharjah immersing myself in its culture, heritage and enjoying the desert, nature and outdoor activities. The light festival was spectacular and I loved the family-friendly feel of the emirate. 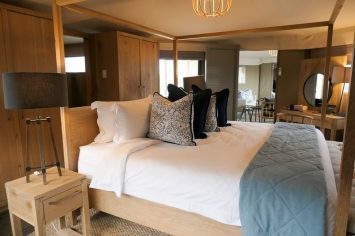 Food is excellent and there’s a wide range of hotels and accommodation to choose from. 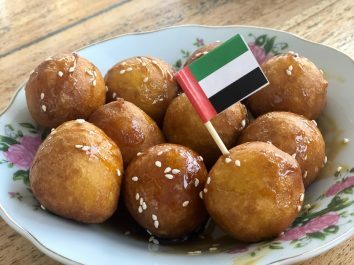 Will Sharjah be your next Emirati destination? My visit to Sharjah was complimentary but, as always, views and opinions are 100% my own and I am free to write whatever I like. I never knew of Sharjah until I read this post. So many reasons I now want to visit. IT looks absolutely stunning! The architecture looks beyond belief. I’m adding it to my list of destinations to visit. Thanks for bringing it to light. Did you find it expensive? Thanks for dropping by Alex. 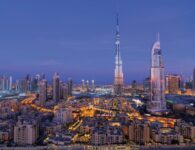 Compared to Dubai Sharjah is an affordable option – many of the people who work in Dubai actually live in Sharjah because it’s not as expensive. Hope this helps. Wow, what a photographer’d dream location. That 2nd shot of the Light festival took my breath away! To be honest, I had never heard of Sharjah, you’ve made me curious enough for further investigation. Thanks for the tip Suzanne! I’m glad to have enlightened you Alison – both ways! I don’t know much about this part of the world but it looks fascinating – such a mix of things to see and do, and the light festival is gorgeous! I was surprised by how diverse the activities and sightseeing was in Sharjah. Plenty to do for all types of traveller. What a fascinating place! I loved Dubai when we visited a few years ago and have wanted to see more of the UAE ever since but I had never heard of Sharjah. the hotels look fabulous too, What a wonderful trip. I have to admit I’m more than a little envious! Sharjah is actually just half an hour’s drive from Dubai International Airport. 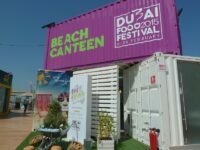 Definitely worth a few days if you’re heading to the UAE. Sharjah was a real eye opener and somewhere I didn’t know much about before my visit. Definitely a middle eastern gem that should get more attention. 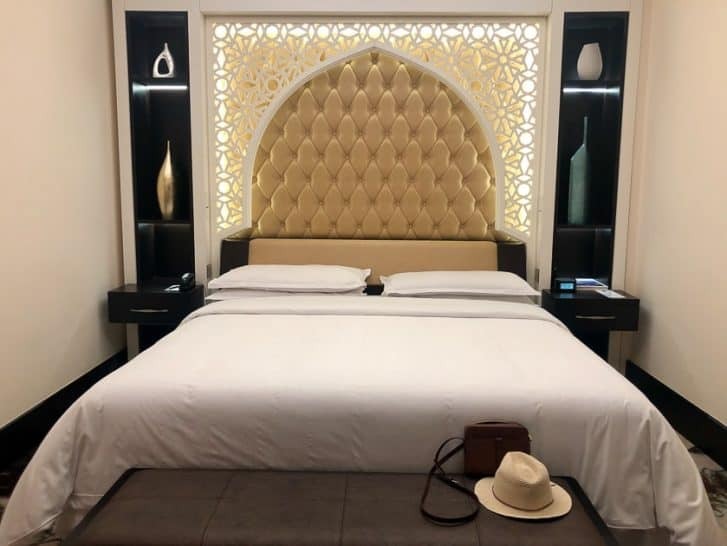 I’ve been following your posts on Instagram and am so intrigued by Sharjah! I’ve added it to my bucket list thanks to you! I truly think I’d love visiting with so much to do and see that is so unique to this area. Thanks for highlighting Sharjah’s features! I loved visiting Sharjah – so many unexpected gems to be found there. I’m so glad you feel it’s a destination that you’d like to explore too.